wild eye releasing Archives - Horror News Network - The Horror News You Need! Wild Eye Releasing has announced that Tales of Poe, which features legendary horror scream queens, is coming to DVD on October 11. First premiering at Hollywood’s famous Egyptian Theater, the horror anthology has since garnered praise from critics. It has been hailed as “a worthy successor to the Roger Corman/ Vincent Price Poe films” by San Francisco Weekly. The feature was co-directed by Bart Mastronardi and Alan Rowe Kelly. 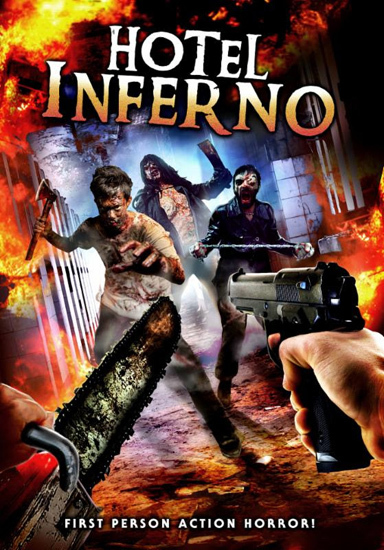 New York, NY – WildEye Releasing immerses fans into a first-person apocalypse when Giulio De Santi’s Hotel Inferno makes its North American debut this June. Follow a contract killer on the job as the hunter becomes the hunted of demonic monsters in new key art and stills.